To Install Python in Symbian v3 Mobile Phone just like Nokia E63 with OS Symbian v3, the first thing we need is Python Library. You can download this in download link in the end of this post. This Zip File contain two files, that's PIPS.SIS and PYTHON.2.0.SIS. You must install PIPS.SIS before you install Python, because this file important component for Python app. So, install this PIPS.sis, and ignore every warning that appear. If it done, you can install Python.2.0.sis now. 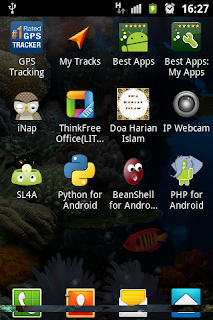 For Installing Python in Android you must install Scripting Layer for android phone. The download link number 2 in the end of this post is apk for Scripting Layer in Android SL4A that use together with Python Interpreters. Feel free to use Python For Android Support and Discussion Group for any Python related questions. If your question is related to SL4A then do it at SL4A Support and Discussion. 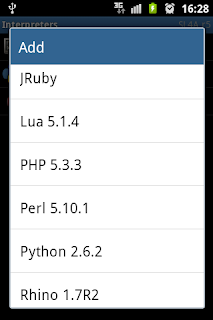 Step by step for Installing python in android, just like screen shot above this post. 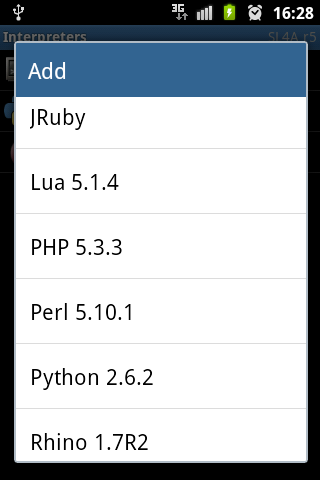 The first, you must install this SL4A_r5.apk to your android phone. If it done, next you go to Menu and choose "View" ---> "Interpreters", this will show you Shell Interpreters only, so, go to Menu again and choose "Add" and select Python 2.6.2 interpreters. This will download necessary file to install Python in your android, please wait and install everything that appear after download complete. 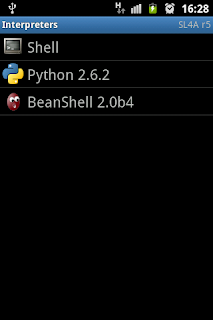 And if this done, the python interpreters will appear in below shell interpreters. If you confuse how to install this, feel free to comment out in this blog.